This integrated indoor MK lighting system, which includes 16 different types of interchangeable components and supports flexible docking of multiple luminaires, is able to be configured up to 228 kinds of ceiling LED luminaires. 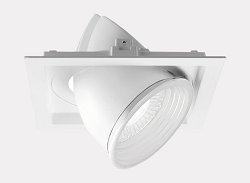 Available in 2000LM and 4000LM, it can operate at different beam angles of 24°,38°,60°to 80°x45°, a versatile indoor recessed lighting fitting in with different lighting applications. 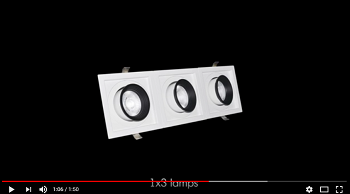 Provided with 350 degree rotation and 50 degree tilting, our MK modular square or round spotlight is highly praised for delivering precise and multi-directional illumination flexibly. 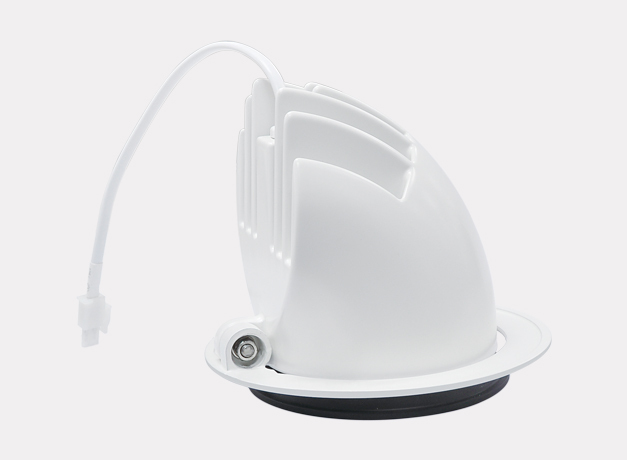 A factor in its popularity is that the users can adjust such light fixture freely and position it to the best condition for optimal lighting distribution. Applied in varieties of applications such as retail shop, home, museum, art gallery, school, hotel and so on. • Be able to be configured up to 228 types of recessed or pendant lighting fittings with modular design and interchangeable components. • Support flexible docking of multiple LED luminaires into one connected lighting system in different forms. • Proven to have a high luminous efficacy up to 100LM/W, saving power consumption to a large extent.